If you have sleep apnea and have decided to undergo a surgical procedure for your weight loss, it’s critical that you find the right surgeon for your needs. Although this can seem intimidating, choosing a good surgical team will make you feel more comfortable at each step of the process. You will be able to ask more questions, feel more prepared on your surgery date and be more confident as you change your habits. Before you agree to let anyone perform your surgical procedure, you should look into their surgical experience. Experienced surgeons are not only more skilled, they are also more familiar with their field. A surgeon with extensive experience can give you valuable advice about all aspects of your weight loss surgery, including which procedure is right for you and how to maximize your chances for success. Surgical clinics must meet a number of criteria to receive a Center of Excellence designation. The Center of Excellence program is administered by the American College of Surgeons and the Surgical Review Corporation. Representatives from these organizations visit clinics that are being considered for Center of Excellence designation to inspect the facilities and evaluate procedures and pre- and post-surgical care. Find out if your clinic and surgeon are part of the American Society for Metabolic and Bariatric Surgery. ASMBS is a professional organization of bariatric surgeons. To remain a member in good standing, surgeons must be board certified and have a good surgical history. Some offices may indicate that they are ASMBS affiliated. This means that the surgeon is inexperienced or is not board certified. Make sure to ask staff about this designation and be prepared to find another surgeon if you feel uncomfortable. Although surgeons cannot give you the names or contact information of their former patients, you may be able to meet some at weight loss surgery support groups or at weight loss surgery seminars. Many independent surgeons’ offices hold information seminars about the procedure and what to expect at each step of the process. These offices often invite former patients to speak about their experience with weight loss surgery, their lives after their operation and what hurdles patients may face before and after their surgery. Former patients can tell you about your surgeon and the medical team. A patient’s perspective on the team’s procedures and pre- and post-operative care will enable you to make a more informed decision about choosing your surgical team. If you cannot get into contact with any former patients, check online for reviews. There are many websites that allow people to leave anonymous reviews about their experiences with their surgical teams. Checking consumer protection services such as Angie’s List can also give you insight into a surgeon’s reputation. Many independent bariatric surgeons use hospital operating rooms for their procedures. However, not every hospital is equipped to meet the needs of patients with high BMI. The hospital may not have adequate facilities for very large patients. Anesthesiologists may not be skilled or comfortable working with bariatric patients. Asking your surgeon and other office staff about hospital facilities can give you an idea of whether the hospital staff are prepared to accommodate you and care for you in case of an emergency. Interested in learning more about how to lose weight to reduce or cure sleep apnea? 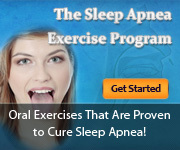 Please click here to get ‘Weight Loss For Sleep Apnea Program’.